HARRISBURG, NY (WSKG) — In their final week of annual budget hearings, state lawmakers are trying to evaluate how last year’s sweeping gambling overhaul—designed to balance a shaky revenue plan—is affecting state finances. 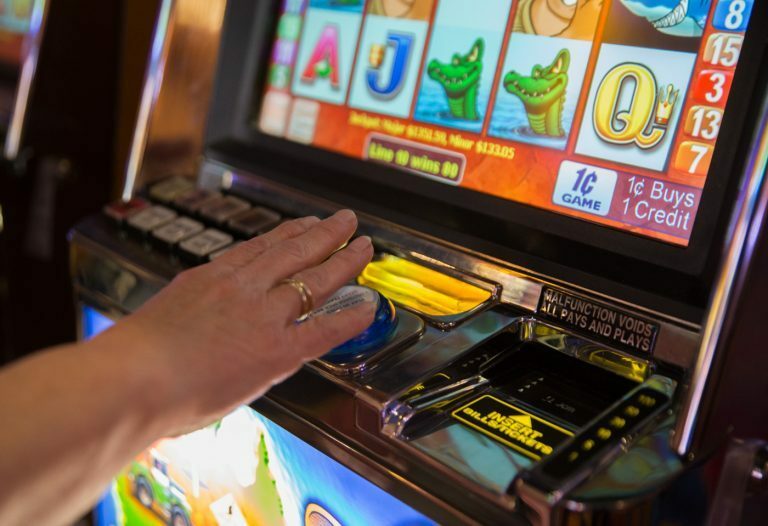 The introduction of a new class of mini-casinos and remote video gaming terminals is the biggest expansion Pennsylvania’s gambling industry has seen since it was legalized well over a decade ago. The Gaming Control Board said so far, the changes are paying off more or less as expected—with $200 million slated to come in this fiscal year, and $100 million next year. The legislature is banking on gambling revenue continuing at that level. But Senate GOP Appropriations Chair Pat Browne noted, some lawmakers are concerned it won’t last. “One of the questions going forward is, all of these different venues, is it sustainable over time?” he asked the board. Control Board Executive Director Kevin O’Toole said he thinks so— but added, it’s almost impossible to tell for sure. “Don’t rely upon year one’s revenues to make a sustainability conclusion,” he told the panel of senators. The revenue influx comes largely from licensing fees for new miniature casinos. Four of eight possible auctions have netted $124 million—more than expected. Board members said they aren’t sure whether there will be enough demand to sell all eight permits. The process saw a hiccup recently when a permit had to be re-awarded after the first winner tried to place a casino too close to a spot that was already claimed. Browne recommended the board check the submissions before announcing winners in the future. The Gaming Control Board is now preparing to roll out the rest of the expansion plan. It includes remote video gaming terminals in truck stops, fantasy sports betting, and internet gambling. The board is requesting funding for about 50 new employees to keep up with the extra work the expansion entails. ROCHESTER, NY (WXXI) - Gov. Andrew Cuomo on Monday signed the legislation that will ban single-use plastic bags starting in March of next year, but Wegmans has also announced that it will eliminate the use of the plastic grocery bags in its New York stores by the end of this year. Jason Wadsworth, Wegmans' packaging and sustainability manager, said the supermarket chain wants to get ahead of the curve because of the transition that will be needed to get customers accustomed to using the reusable shopping bags. ITHACA, NY (WSKG) - A Yates county school superintendent says the mental health problems they are facing are a community issue not just one for the schools. Dundee school superintendent Kelly Houck called the mental health problem she see's in her community, a crisis, months ago. The singer Kate Smith's recording of "God Bless America" has been a cherished part of sports tradition in the U.S. for decades. But in the aftermath of a discovery that the singer also recorded at least two songs with racist content in the 1930s, two major American sports teams, baseball's New York Yankees and ice hockey's Philadelphia Flyers, have announced that they will stop playing Smith's rendition of the Irving Berlin patriotic classic. Since the 1980s, April has been designated the Month of the Military Child. It's a recognition of the sacrifices children of military personnel must make when their father or mother is called to active duty.